There is nothing quite as peaceful and refreshing as a glide through a wonderful kelp forest to forget about the frantic-paced life of Los Angeles. And Leo Carrillo State Beach is just the place to do it. 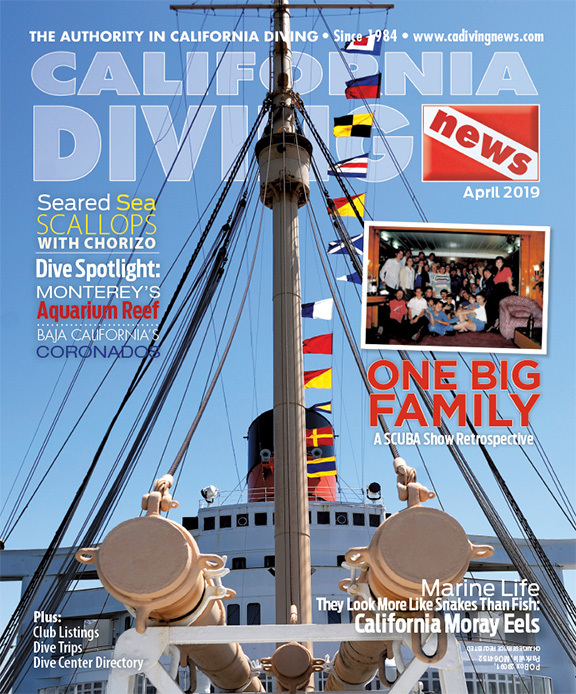 While I know a dive cruise out to Catalina or Anacapa Islands is preferred, sometimes we simply do not have the time to devote an entire day for a charter boat trip. A half-day excursion to local waters for a beach dive or two can be just the answer. Leo Carrillo is an excellent choice. Here you will have a glide through a kelp forest that rivals that of most out at Catalina Island. And it’s only a few minutes’ drive from the hustle and bustle that is LA. Leo Carrillo has consistent kelp growth through all the seasons, even during those years when the kelp is thin elsewhere. The most attractive portion of this dive is simply the kelp canopy. It is one of the healthiest along the Southern California coast. On a sun-filled day it is a joy is to just kick back on the sand and watch the sunbeams as they are shattered and scattered making their way to the reefs and sand. Remember your kelp diving techniques leaving enough air to return underwater under the thick kelp canopy that spreads out above. 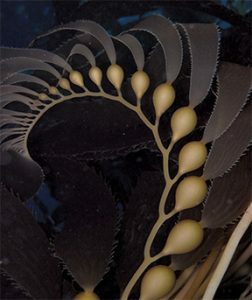 If you do not plan accordingly you’ll need to know the “kelp crawl” to move across the top of the canopy. The kelp starts on the rocks in less than 15 feet of water. (This is, by the way, an excellent snorkeling location when calm.) The reef runs in ridges almost straight out from the shoreline. You will find most of the mini-walls and pinnacles at about 25 feet down to the sand. Many of these walls rise 15 feet off the bottom and are adorned with entrusting sponges. Dots of bright color are provided by Spanish shawl and yellow dorid nudibranchs. Here and there are clumps of gorgonians reaching their arms into the currents to capture food bits as it drifts by in the currents. Although they look like colorful plants, gorgonians are actually colonies of tiny anemone-like animals. Rounding out the color matrix are rich purple urchins, splashes of green-colored anemones, and ochre stars in a variety of colors near the tops of the reefs. Octopuses are noteworthy here. They are especially abundant, large and seen on nearly every dive. Sometimes you will find this nocturnal creature lumbering around during the day but they usually hunker down in holes during daylight hours. To find their lairs look for an abundance of empty clam and crab shells concentrated on a spot in the reef. They often take their meals back to their holes after they hunt at night and consume them there, discarding the inedible bits outside the entrance. Moving around the rocks and walls are numerous pink female sheephead with a few tri-color males thrown in. All the sheephead here are small. Also flitting around the water column are bright orange garibaldi and black perch (actually not always black but vary in colors from dark gold to dark brown, even sometimes green). Other interesting perch here include rainbow perch, rubberlip seaperch and small golden brown kelp perch threading their way through the kelp. Perch are one of the few fish that, rather than laying eggs, are livebearers. Look carefully and you might spot a pregnant perch or even one giving birth. Heading out away from shore, as the bottom slopes deeper don’t stop your dive where the kelp ends. The reefs continue to extend much further out sometimes denuded of kelp likely by an abundance of small blue urchins. The reef stretches out 300 yards or more to 50 feet deep. There is still a lot to see in spite of the thin or no kelp. Leo Carrillo not only has some great diving, but excellent coastal scenery as well. There are vistas (on an exceptionally clear day you can see four of the eight Channel Islands), coves and even a couple of sea caves. This location has been the site for numerous major motion pictures and TV shows. As a matter of fact the park is named after famous sidekick actor “Pancho” in the 1950s TV series “The Cisco Kid.” The Carrillo family was previous owners of the land and they donated the property to the State for use as a park. 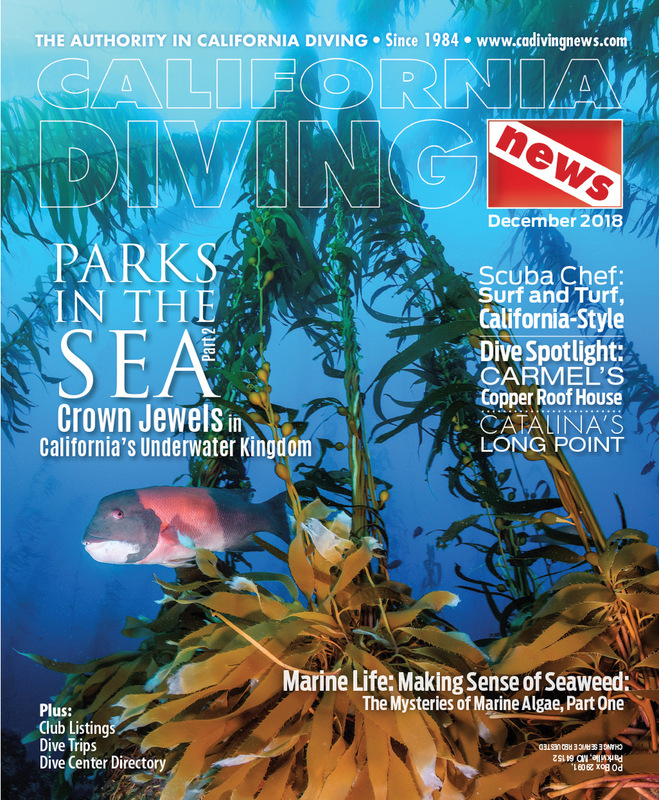 At Leo Carrillo there are a large number of dive sites to explore. There is the northwest beach area but you’ll have to pay the day use fee and visibility is not quite as good here. 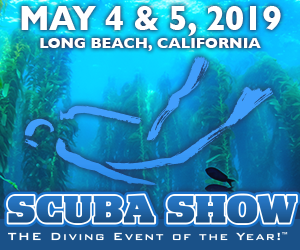 On the southeast end access is very easy off Highway 1 and the reefs are close to shore but they are quite shallow and unless you dive it at high tide on a calm day you’ll be dealing with surge. Your best bet is the middle of the park in the area known as Sequit Point. Rock points extend out from shore creating small coves that are excellent points for water entries. The best is at Lifeguard Tower #2. If you enter the park by car you’ll pay a fee and not be able to park near the water entry points. A better strategy is to park along the south side of Highway 1 near or at the trail that leads to Sequit Point. Parking along Highway 1 is free but arrive early for the best spot and park well off the highway for your safety. It is a short mostly flat trail to the tower #2 and just a few steps down to the protected small sand beach cove. 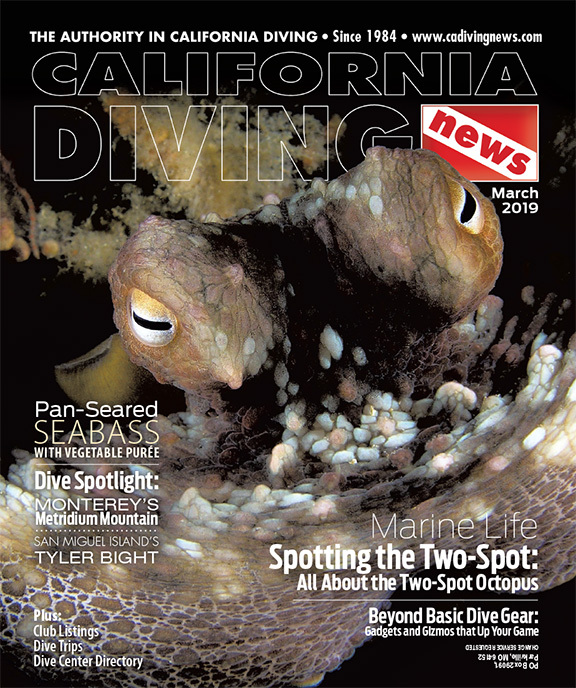 So when the hustle and bustle of LA gets too much for you, and you’ll like a quick morning dive to escape, head for northwest LA County and visit Sequit Point at Leo Carrillo State Park. Skill Level: Novice or better with beach diving and kelp experience. Location: Northwest Los Angeles County, west of Malibu along Highway 1. Well marked with signs. Park along the south side of Highway 1 near the trailhead. Access: Short trail and down a few steps to cove. Entry and Exit: Sand beach surf entry to a usually calm entry. Depth Range: 15 to 50 feet but most diving at around 30 feet. Conditions: Good although can be surgy at times. Visibility: Averages 15 to 25+ feet, best in the fall. Photography: Good wide-angle with kelp forest and interesting reef structure. Macro good with lots of critters and small fish. Hunting: Poor. Fish and lobster are small.